Janssen’s hepatitis C drug Olysio has been approved by NICE whilst also reaching a novel ‘pay if you clear’ pricing agreement with the NHS. 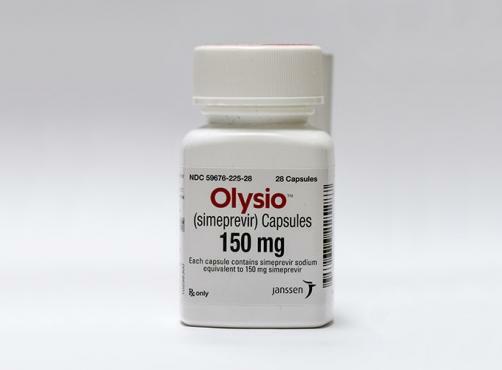 The payment scheme means that NHS England will only pay for Olysio (simeprevir) if patients are effectively cured of the virus after 12 weeks of treatment, with Janssen refunding the cost for those who aren’t. Trials so far have found a cure rate of around 80% after 12 weeks of using the drug. Janssen which is the pharma wing of Johnson & Johnson, is taking steps to reduce the amount of cases it will need to refund however, by introducing pre-treatment blood tests to predict the efficacy of the drug and recommending that patients not achieving a good response should switch to other treatments. “This unique scheme to make Olysio and a predictive blood test available in England, with the NHS paying only for successful outcomes, is a great example of an innovative, collaborative partnership that can deliver benefits to both patients and healthcare providers,” says Mark Hicken, managing director of Janssen UK. The company adds that this scheme was not a part of its NICE submission for the drug, which was shown the green light by the watchdog today. Olysio, which belongs to a new class of highly effective protease inhibitor hep C medicines, is now approved for the treatment of patients with hep C genotypes 1 and 4 in combination with peginterferon alfa and ribavirin. It was previously approved by the Scottish Medicines Consortium in October last year. Previously NICE said that it might only be able to recommend the drug for genotype 1, but has changed its mind after Janssen provided the body with more information. A decision on the use of the drug in combination with Gilead’s own hep C drug Sovaldi (sofosbuvir) – useful for when patients cannot receive interferon – has been postponed however, while Janssen and NICE await more data. This announcement also comes on the same day that NICE approved Sovaldi, which has been shown to have higher cure rates than Olysio and is indicated for more hep C genotypes. But Sovaldi has faced more controversy on its road to approval, with most of that focus being on its high cost of £35,000 per-patient.